Over the weekend, the husband of 25-year-old Romina Celeste Nuñez from Costa Teguise in Lanzarote was arrested. 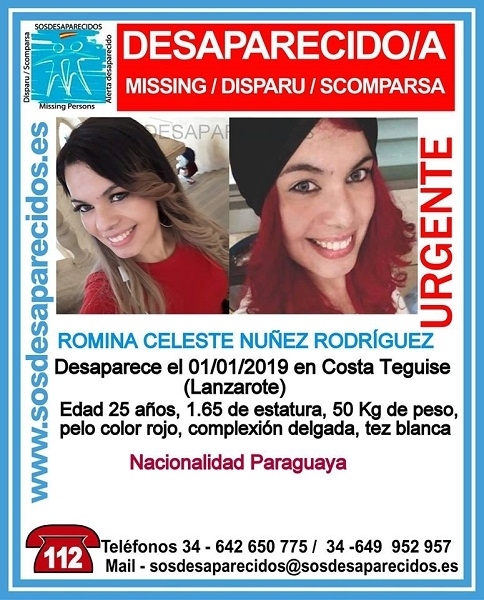 The young woman has been missing since New Year's Eve, the last time she was seen alive, but her husband only reported her missing a week later. The search for her, even in abandoned houses and among her friends, was unsuccessful. The investigation revealed further suspicions and the man was detained. The couple's apartment was sealed and searched for clues. The husband has since confessed to having dumped her body, stating that he found her dead in their apartment and panicked. No body has been found yet. Gallery: What happened to Romina?